If Warren Miller were still alive, he probably would have blown off the debut of the documentary chronicling his life and career to hit the Park City slopes instead. When it came to the sport of skiing, he was the preeminent filmmaker, but he was also a four-walling pioneer. He built his annual ski movie road show into a tradition for hundreds of thousands of fans and served as an outreach evangelist for the sport in its early years. Patrick Creadon surveys his peaks and valleys in Ski Bum: The Warren Miller Story, which won the Best of Breakouts Audience Award at the 2019 Slamdance Film Festival. After an unhappy childhood and a brief stint in the Navy, Miller was ready for a life of adventure sans responsibility. He found it as a veritable ski bum. Although he was a complete beginner, his enthusiasm quickly propelled him into ski instructor positions. He started recording feats on the slope as an amateur videographer, quickly deciding to turn pro. Thus, was born Warren Miller Entertainment, which released its first film in 1949. With one disastrous exception, Miller followed an event-driven four-walling model. Although he filmed professionals, has laidback narration made him the star of his films for scores of fans. Warren Miller films were an influence on Bruce Brown’s classic surfing doc, The Endless Summer and arguably supplied the foundation for the rise of extreme sports, but it was not always a bed of roses for Miller. In fact, his personal life was often a source of bitter disappointment. It is about time Miller got his due. Fortunately, Creadon (probably best known for I.O.U.S.A., which incidentally makes us wonder what his thoughts might be regarding the explosion of our national debt over the past ten years) managed to record an extensive series of sit-downs with Miller prior to his death last year. He is a constant presence in the documentary, offering commentary on every development in his life-story. His candor is also quite notable—Miller never ducks anything, no matter how painful—and there are incidents that must still smart, such as the revelation his mother and sister were embezzling from him. Frankly, Miller emerges as a highly sympathetic figure precisely because he owns up to the mistakes he made. 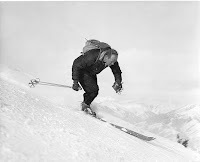 Creadon also incorporates plenty of clips of the spectacular skiing that was a hallmark of Miller’s films (including some never seen before), but his real concern is Miller’s cultural influence. This is not a clips package. If you want to watch someone face-plowing down an exotic mountain, go see a Warren Miller film. Miller’s work still holds up, but his life is probably even more compelling. Creadon’s profile should foster a solid appreciation of both among viewers, even those who have little or no experience with winter sports. 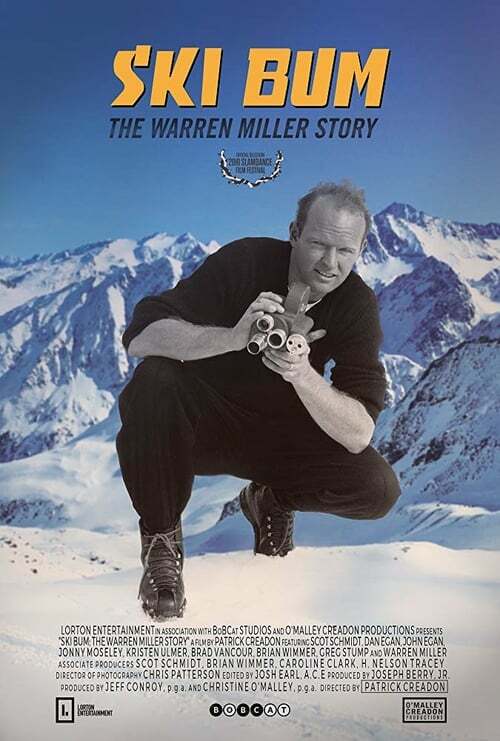 Recommended for fans and anyone interested in early independent filmmaking, Ski Bum: The Warren Miller should have a long festival life, especially in mountainous states, following its award-winning premiere at this year’s Slamdance Film Festival.